AMC’s hit western drama Hell on Wheels finally reached the end of its tracks this summer (bad pun fully intended) with the end of its fifth season. The series’ end had been announced well before Season 5 started. That didn’t make it any less difficult to see such a standout series comes to its end. For those who didn’t want the series to come to its end, its final episodes were released on DVD and Blu-ray at November’s opening. There is plenty to say about the series’ final volume of episodes beginning with the work of the show’s writers. That will be discussed shortly. The work of the show’s cast is just as important to note here as that of the show’s writers. The bonus material included in this final volume of episodes rounds out its most important elements. Each element plays its own clearly important in the collection’s presentation. All things considered, Hell on Wheels: Season 5 – Volume 2 proves to be a fitting final farewell for one of the best serials to come along in recent memory. Hell on Wheels: Season 5 – Volume 2 is a fitting final farewell for a show that is one of the best serials to come along in recent memory. That statement is supported in part through the work of the show’s writers. Once again the series’ writers managed in these final seven episodes to keep audiences completely engaged as they wrapped up all of the loose ends left from the first half of the season. Not to give away too much, one of those loose ends might leave some audiences really disliking Cullen even despite everything else. The writers did a good job of showing the difficulty in Cullen’s decision here. But it’s still difficult to not dislike Cullen’s choice or to not dislike Cullen himself for that choice. It is truly a heart wrenching moment. It’s just one of the loose ends that is wrapped up in these final episodes. Viewers finally see the end of Thor Gundersen in these final episodes, too. This is perhaps the one moment in which the writers slipped up. Every time it seemed like Cullen had finally finished off Thor, he was still alive. That is until he finally meets his fate. That moment is brutal in itself to watch. Getting back on topic, the fact that Thor just kept coming back up until that moment made it seem like the writers weren’t entirely certain how to finish off Thor, so they used the different scenarios to keep the story moving in hopes that audiences wouldn’t mind his multiple deaths. At the same time, finally presenting Thor’s past served to illustrate why he had become such an angry person. So that makes up for the issues of Thor’s many deaths up until his final death. One of the most surprising moments in which the writers’ work shines comes as Cullen is called to testify against Thomas Durant in Washington, D.C. Cullen’s reaction as he sits before the committee was completely surprising. It also showed in its own way perhaps another realization by Cullen about who he was in comparison to Durant. That deeper element makes this moment stand out even more. It’s just one more moment that exhibits the importance of the series’ writers in these final seven episodes. There are so many others that could be cited. But there isn’t enough time or space to cover them all. Audiences will have to find them for themselves when they purchase or order this final volume of Hell on Wheels’ episodes. While the work of the series’ writers clearly exhibits its own importance in the collection’s presentation, it is not the only important element to note. The work of the series’ cast is just as important to note as the work of the series’ writers. The work put in by Hell on Wheels’ writers in its final episodes goes a long way toward making them entertaining and engaging. That is evident through the moments discussed here and through so many other moments. Even with this in mind, the writers’ work is not the only work that makes these episodes so entertaining. The cast’s work interpreting each episode’s script is just as important to note as the writers’ work. One of the most notable moments that exemplifies the importance of the cast’s work comes as Thomas Durant sees first hand the death of someone very close to him. He finally saw for himself the impact of his schemes. It was clear from that moment on that he was not the same man anymore. Colm Meaney’s handling of the moment made that traumatic moment so powerful. He didn’t try to ham it up and scream, “nooooo” or anything else. He merely had to look at what had happened to fully display the impact that the moment had on him. His narration of the events leading to the moment, so calm yet clearly so hurt, added to the moment’s emotion. Meaney handled it all with such expertise. As devious as Durant had been throughout, this one moment actually will lead audiences to feel some level of sympathy for him. Again, that is thanks to Meaney’s handling of the situation. He is to be so highly applauded for his work here. Fellow star Anson Mount is to be just as applauded for his display as he handles his own emotional struggles. For so long throughout this series, Cullen has proven to be a rock solid figure in terms of his emotions. But here in these final episodes, that façade finally begins to crack as he is forced to make some very difficult decisions. One of the most intriguing of those moments comes as he encounters a Native American at a stream. The pair stares one another down, waiting to see what the other will do. It is a short moment, but when one looks back, it explains why Cullen told Grant he wasn’t an indian killer. The defiance in his voice as he makes that clear to Grant makes so much more sense when one considers that moment. There were no words, only actions and emoting. Yet it was such a powerful moment. Both Mount and his co-star shined brightly in that simple moment, showing once more than importance of the cast’s work to these episodes’ presentation. As with the work of the show’s writers, there are so many other moments that could be cited in explaining the importance of the cast’s work. But that would take far too much time and space. So, again, audiences will find plenty of other examples when they purchase or order Hell on Wheels: Season 5 – Volume 2 for themselves. Keeping this in mind, the work of the series’ writers and cast are obviously both important to the episodes’ presentation here. They are just two of the series’ most important elements. The bonus material included in the episodes’ recent home release is just as important to note in their presentation as the writing and acting behind each episode. The work of Hell on Wheels’ writers and cast are both pivotal to the series’ continued entertainment in its final episodes. The writers managed to wrap up the show’s leftover loose ends relatively well and keep audiences entertained and engaged in the process. The cast did just as much to entertain audiences as evidenced through the work of Colm Meaney and Anson Mount (and their cast mates). While the work of the series’ cast and writers is undeniably important to the presentation of its final episodes, they are just two of the elements that make this collection’s presentation enjoyable. The bonus material that is included with the collection is just as important to note as the writing and acting in these episodes. As with each of the series’ previous installments each episode is coupled with its own “Inside the Episode” audio commentary. Needless to say, that commentary is not to be missed. The other bonus material is less extensive. But it does a good job bringing everything full circle. “Golden Spike” is the shortest of the bonuses. It last all of perhaps a couple of minutes, if that. But audiences learn through this little piece that the golden spike was very real. They also learn that allegedly every telegraph in the country was silenced on the day that the golden spike was hammered into the transcontinental railroad. That was so that when the message was delivered—by the strike of the hammer—every person in the country would know that was the moment when the spike was being driven. That is something that generally isn’t taught in history classes at any level, so it is interesting to learn. “Wrap Up” and “A Look At The Final Episodes” are both interesting in their own way as they offer the cast and crew the chance to comment on the importance of the episodes’ stories as well as working on the final episodes. Viewers will be most intrigued to learn of Anson Mount’s connection to Cullen as he discusses topics such as Cullen having to kill and bury Elam, who had become such a friend to Cullen. Robin McLeavy also gets the chance to discuss Eva’s personal growth from the series’ opening to the final episode. This discussion is just as important to take in because it reminds audiences that while Eva might not have been one of the series’ marquee characters, she was still very integral to its development in her own right. It’s just one more discussion that exhibits the importance of this collection’s bonus material. There are so many other discussions both in the shorter features and the episode-length commentaries that add their own depth to the collection. When they are joined with the discussions noted here, the whole of that bonus material proves to be just as important to the collection as the episodes and their content. When all three elements are combined, they make clear why Hell on Wheels: Season 5 – Volume 2 is a fitting final farewell for what is one of the best serials to come along in a long time. To keep up with the latest sports and entertainment reviews and news, go online to http://www.facebook.com/philspicks and “Like” it. Fans can always keep up with the latest sports and entertainment reviews and news in the Phil’s Picks blog at https://philspicks.wordpress.com. 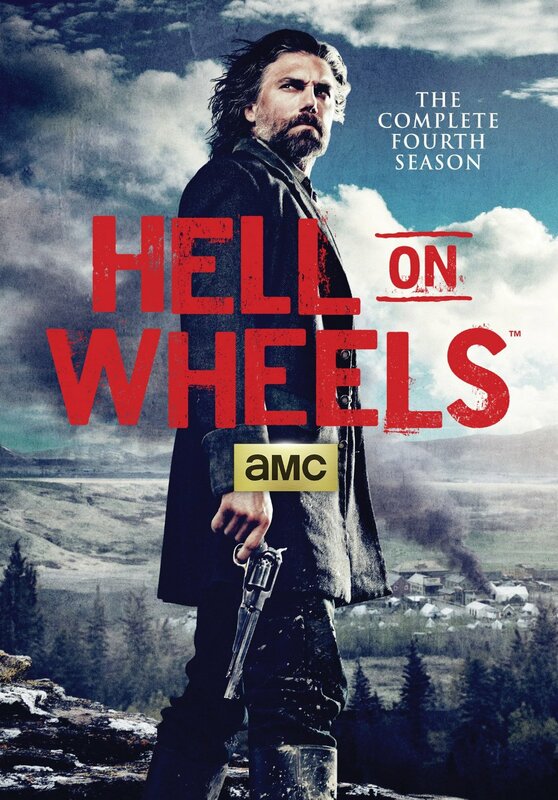 This fall Entertainment One will release AMC’s hit western serial Hell on Wheels in its entirety in one complete set. Hell on Wheels: The Complete Series will be released Tuesday, November 1st. It will be released on DVD and Blu-ray. The series’ 57 episodes will be spread across 17 discs in the set and total more than 40 hours. Hell on Wheels earned three Western Heritage Awards for Outstanding Fictional Drama over the course of its five seasons on AMC. The new complete series set includes a number of bonus features including: “The Making of Hell on Wheels,” “Inside the Episodes” featurettes, and more. The bonus material included in the set is noted in whole below. This year’s big screen offerings brought big numbers for theaters. The problem is that the majority of those big numbers were the result of Hollywood’s (and audiences’) seemingly insatiable appetite for prequels, sequels, and remakes. It’s a sad statement when one really sits down and thinks about it. And thankfully more audiences are coming to their senses about it each year and staying home instead, taking in the variety of alternatives being offered on television and online. Given, far too many of those alternatives were (and still are) serials, dramas, and some mixture thereof. But for all of the serials and dramas out there, they were just a drop in the bucket in terms of just how much was offered to audiences this year in the way of home entertainment. Shout! Factory released two more volumes of episodes from the cult classic series Mystery Science Theater 3000 this year. It also released the final two seasons of the classic sitcom Welcome Back, Kotter, the complete series run of The Saint, and much more. PBS has released all three current seasons of its hit reality/cooking show A Chef’s Life, and partnered once again with itv to release the third season of Mr. Selfridge. Timeless Media Group even gave audiences a good scare this year with the release of A Haunting: Season Seven. And for all of the conspiracy theorists out there, Lionsgate and History channel offered up the seventh season of Ancient Aliens. These are just some of the alternatives offered to audiences this year from the home entertainment realm. And they are all on the Phil’s Picks list of 2015’s Best New Box Sets for Grown-Ups. That is in comparison to box sets for the whole family. That is a whole other list. That list will be presented tomorrow. In explaining the choices for the list of this year’s top new box sets for grown-ups, the overall packaging of each set was taken into consideration alongside each set’s bonus materials (or lack thereof) and the writing that went into each presentation. The combination of each element in each set went into coming up with this list. Not every set had bonus material such as with Welcome Back, Kotter’s third and fourth season. But the writing behind each season made each season entertaining enough that they each stand quite well on their own merits. The bonus material featured in both volumes of MST3K played a big role in their presentations deserving them their own spots as did the bonus material in Time Life’s new Dean Martin Celebrity Roasts box set and that of Hell on Wheels’ fourth season. That should hopefully give at least some background on why each title was listed where it was listed. Keeping that in mind every title listed here is fully deserving of its spot on this list. So enough rambling. Without any further ado, I offer for your reading pleasure dear readers, the Phil’s Picks 2015 Top 10 New Box Sets for Grownups. As always, the Top 10 make up the main body of the list while the bottom five each receive special mention as they deserve to be on the list just as much. Here you go! This Saturday, AMC’s hit western serial Hell on Wheels returns for its fifth and final season. For those that perhaps might have missed out on the events of the hit drama’s fourth season and who in turn don’t want to spoil things for themselves, AMC and eOne have announced that those fans won’t have to wait much longer for Season Four to hit store shelves out online outlets. AMC and eOne have announced that Hell on Wheels: The Complete Fourth Season will be released on DVD and Blu-ray on Tuesday, August 11th. Hell on Wheels’ fourth season picks up right where Season Three left off. Audiences find Cullen marrying the now pregnant Naomi and having to live in the Mormon fort where she and other Mormons currently live. Making things even more tense is the fact that The Swede (Christopher Heyerdahl) is there, pretending to be the church leader Bishop Dutson. Thomas Durant (Colm Meaney) is back in charge of the Union Pacific Railroad, which had succeeded in its western expansion, making it all the way to Cheyenne. Elam (Common) has recovered from the injuries sustained in a bear attack at the end of Season Three, which happened as Elam had been searching for Cullen. Season Four sees the fallout from all of these events and more as the railroad continues its expansion. Audiences can check out a trailer for Season Four’s upcoming home release online now via Vimeo at https://vimeo.com/118781754. 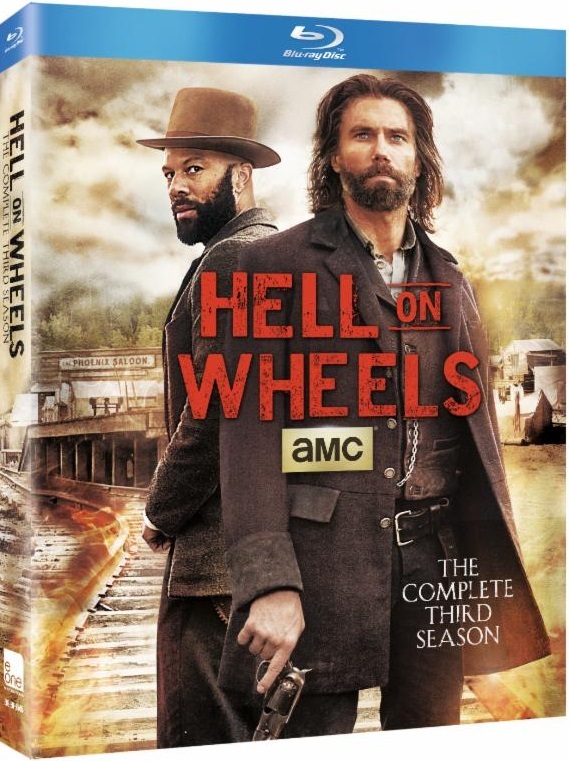 Along with its gripping story lines, Hell on Wheels: The Complete Fourth Season also boasts a handful of bonuses for fans including: a behind the scenes look at Season Four, an introduction to the new characters introduced in Season Four, episode specific featurettes, and much more. The complete list of bonuses featured in Hell on Wheels: The Complete Fourth Season is listed below. The days are officially ticking away to the end of another year. That means that all of the critics out there are now putting out their annual “Best Of” lists. This critic is still working on some of those lists while others are official. The jury’s still out on some right now such as the year’s Best New Documentaries, Independent Movies, Re-Issues, and Best New Movies overall. The lists for all the new music are still in the works, too. So while those lists are being completed, Phil’s Picks offers to everyone to start off the year, a look at the Top 10 Best New Box Sets for Grown-Ups. This year’s list is capped by a box set featuring the entire 2014 World Series, courtesy of Lionsgate, A&E Home Video, and MLB Productions. Also on this year’s list are some blasts from the past and some imports from our neighbors across the pond, and one surprise entry in the Honorable Mention list. The box sets’ packaging, bonus material and more were collectively taken into account in building this (and the other lists to come). Only 15 titles total could make the list. So there were some that didn’t make the list such as the sixth and seventh seasons of Star Trek The Next Generation on Blu-ray or the full six-season run of Ancient Aliens among others. It goes without saying that this was not an easy list to build. But it feels right. So without further ado, here is the list of 2014’s Top 10 New Box Sets For Grown-Ups. Tomorrow, Phil’s Picks looks into the list of the year’s best new box sets for Children and Families. Stay tuned! To keep up with the latest sports and entertainment news and reviews, go online to http://www.facebook.com/philspicks and “Like” it. Fans can always keep up with the latest sports and entertainment news and reviews in the Phil’s Picks blog at https://philspicks.wordpress.com. eOne will release the third season of AMC’s hit western drama Hell on Wheels next Tuesday, July 15th. It goes without saying that the third season of this standout series is the show’s best yet. And being that the series’ fourth season debuts in just a few weeks, its release is perfectly timed. It gives audiences that have watched the show since the beginning the chance to catch up should they have missed any episodes of this season or the series’ first two seasons. And for those that have not yet seen even the first season, audiences that watch this season will the most important key to its success. That key is the series’ writing. While it is recommended that audiences new to the series watch from Season 1, the show’s writers have done such an expert job that they don’t necessarily need to watch those first two seasons in order to appreciate Season Three. The acting on the part of the cast is just as integral to the success of Hell on Wheels Season Three. The cast has become so accustomed to one another that it has made the acting all the more believable. In turn, it makes suspension of disbelief all the easier, too. And last but not least of all, the bonus material included in this set rounds out the whole package, proving once and for why Hell On Wheels Season Three is one of the year’s best box sets for adults. Hell on Wheels: The Complete Third Season is one of the best new box sets for adults in 2014. There is so much to like about this set. The most obvious of this season’s positives is the show’s writing. Season Three sees some of the show’s strongest writing to date. That is evident in the character development on the parts of Cullen and especially Eva and Elam. Audiences start to see a much more emotional and human side of Cullen in Season Three. This is especially the case when Cullen is forced to make the choice to hang a young man at one point. The young man’s father tossed him to the proverbial woods after his father had shot the then head of railroad security. Cullen knew he was condemning an innocent boy to death for the sins of his father. The pain in his eyes as the young man was strung up is deeply telling. It shows that Cullen knew that hanging the young man was wrong and that it hurt him badly to see it happen. Such a scene adds to Cullen’s flawed yet sympathetic character. There is another scene shared between Cullen and Elam that shows just as much depth not just of Cullen’s character, but of Elam’s, too. That ties into what is perhaps the most powerful example of the show’s expert writing this season—the extended story arc involving the kidnapping of Elam and Eva’s daughter Rose. Just as audiences see quite a bit of development in Cullen in each episode this season, so does the story arc involving the kidnapping of Rose help to develop both Elam and Eva. Elam’s softer yet more protective side comes out as he searches for whomever kidnapped his daughter. The story arc does have a positive outcome in the short run. That ending won’t be revealed here for the sake of those that haven’t yet had the chance to see this season. But it’s not all happy for long as things take a painful emotional turn. The turn in question ironically serves to flesh out Elam’s character even more than ever. One can’t help but feel for him in the long-term outcome. That audiences will left feeling so strongly about Elam exhibits once more why the writing in this season is some of the series’ best yet. There is plenty more that could be discussed in terms of how the writing in Season Three makes it a success. But there is neither time nor space enough for that without one losing interest in this review. So on to the next topic. The second aspect of Hell on Wheels’ third season box set that makes it a success is the acting on the part of the show’s cast. Having worked together on the series’ first two hugely successful seasons, it is obvious that a certain amount of chemistry has developed between the cast members. That chemistry has made the acting even more natural in this season. The end result is acting that allows audiences to completely suspend their disbelief and be pulled into the world crafted collectively by the writers and the actors. There’s even some light humor thrown in for good measure to lighten the tension that runs throughout the town and its people. And people won’t be able to help but laugh at those brief moments of humor. Audiences will agree that this helps to solidify the cast’s acting as an important part of the whole. And together with the solid writing, it puts this season’s set at the tipping point. There is one final part of the whole that puts this box set over that proverbial tipping point—the bonus material. 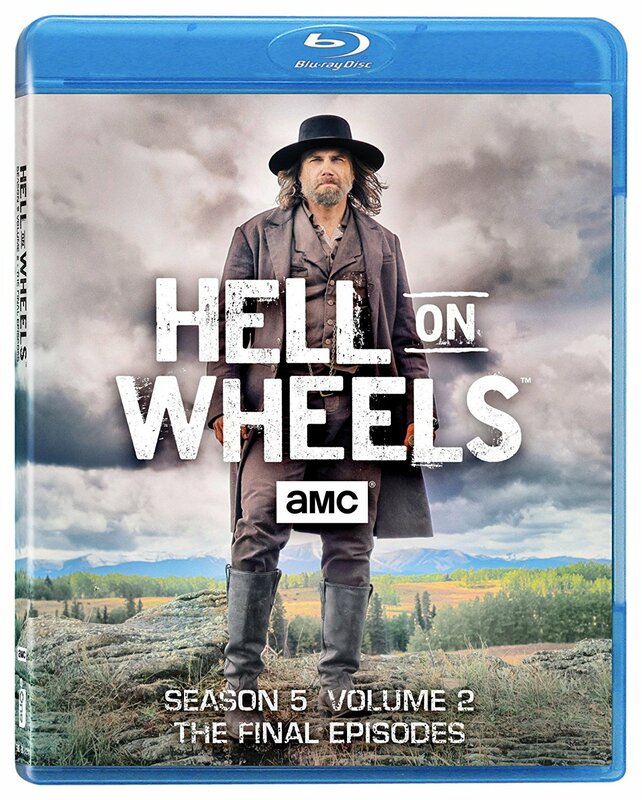 The bonus material included in Hell on Wheels: The Complete Third Season continues the tradition established by eOne in the box sets containing Seasons One and Two. Audiences are offered a recap of Season Two in order to help viewers catch back up before Season Four starts next month. And as with the previously released box sets, this set also includes companion “Inside the Episodes” featurettes with each episode. And of course, the standard “Behind-The-Scenes” featurettes are there, too. So not only can viewers catch up before Season Four starts next month, but they are given a thorough look behind the cameras once again. They are allowed to see the work that went into bringing Season Three to life. That combination of elements works with the writing and acting in Season Three to put it over the top. Collectively, it shows once and for all why this box set is one of the year’s top new box sets for adults. Hell on Wheels: The Complete Third Season will be available next Tuesday, July 15th in stores and online. It will be available both on DVD and Blu-ray. More information on Hell on Wheels is available online now at http://www.facebook.com/HellonWheelsAMC, http://www.amc.com/shows/hell-on-wheels, and http://twitter.com/HellonWheelsAMC. To keep up with the latest sports and entertainment reviews and news, go online to http://www.facebook.com/philspicks and “Like” it. Fans can always keep up with the latest sports and entertainment reviews and news in the Phil’s Picks blog at https://philspicks.wordpress.com. Hell will rise again this summer. 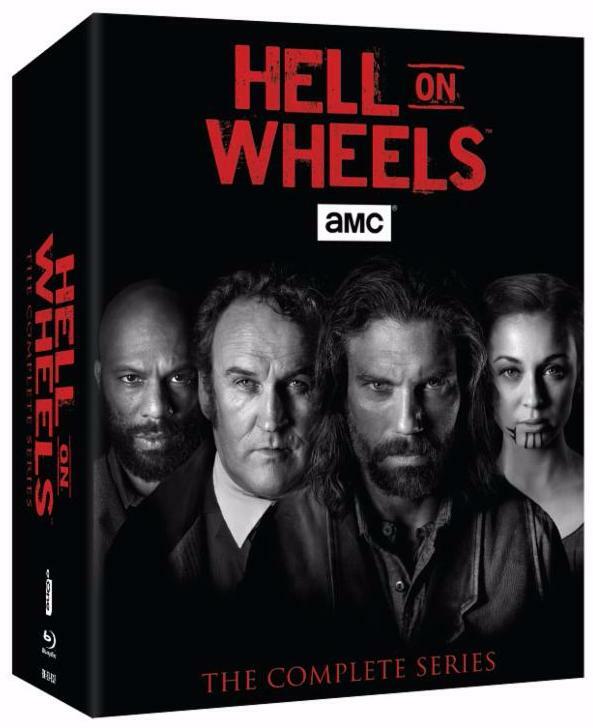 Hell on Wheels: The Complete Third Season will be released on DVD and Blu-ray Tuesday, July 15th. Season Three follows the continuing saga of former Confederate soldier Cullen Bohannon as he works with the Union Pacific on its westward construction. Season Three picks up after the attack by a group of Native Americans on the railroad encampment that closed out Season Two. Also in Season Three, audiences see Cullen make his plans to take over the Union Pacific and get it across the country. One of AMC’s top series, it has been credited for helping to modernize the once powerhouse Western genre on television. The upcoming complete third season’s release comes only weeks before the premiere of the series’ fourth season on Saturday, August 2nd. Hell on Wheels: The Complete Third Season comes with its own compliment of bonus features along with every one of Season Three’s episodes. Those bonus features include: An inside look at Season Three, a recap of season two, a set tour with Common, Behind The Music featurettes, and an “Inside The Episode” featurette with each of Season Three’s ten episodes. Season Four will retail for SRP of $39.98 on DVD and $49.98 on Blu-ray. More information on Hell on Wheels is available online at http://www.facebook.com/HellOnWheelsAMC, http://www.amc.com/shows/hell-on-wheels, and http://twitter.com/HellOnWheelsAMC. More information on this and other releases from eOne is available online via Twitter at http://twitter.com/eOneHomeVideo. To keep up with the latest sports and entertainment news and reviews, go online to http://www.facebook.com/philspicks and “Like” it. Fans can always keep up with the latest sports and entertainment news and reviews in the Phil’s Picks blog at https://philspicks.wordpress.com.